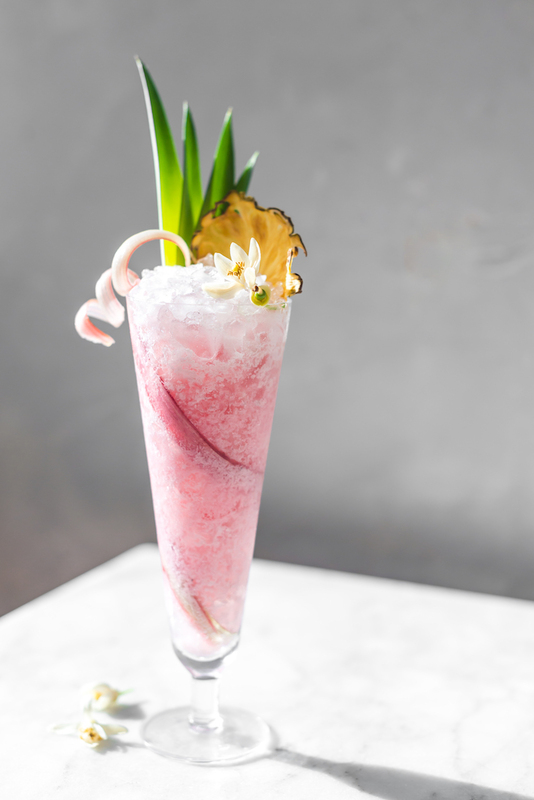 A rhubarb tiki drink?! Preposterous! 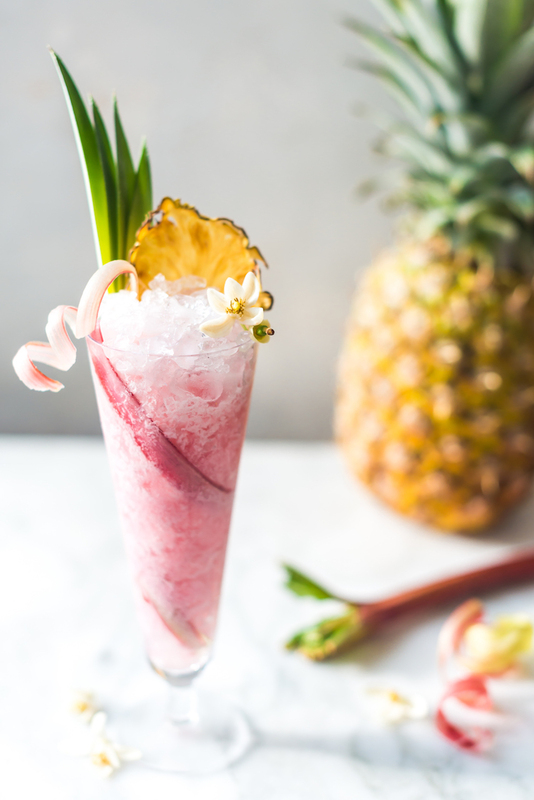 I have yet to come across a tropical drink utilizing rhubarb and excited to use this vegetable in a fresh, new way. 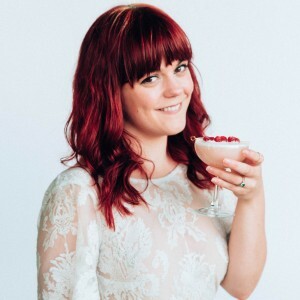 I have whipped up Rhubarb cocktails in the past (a brown butter one and a rosé spiked rhubarb lemonade), but I wanted a new flavor profile to go alongside the rhubarb. Strawberry is a natural, if not cliché, pairing because of their natural sweetness. 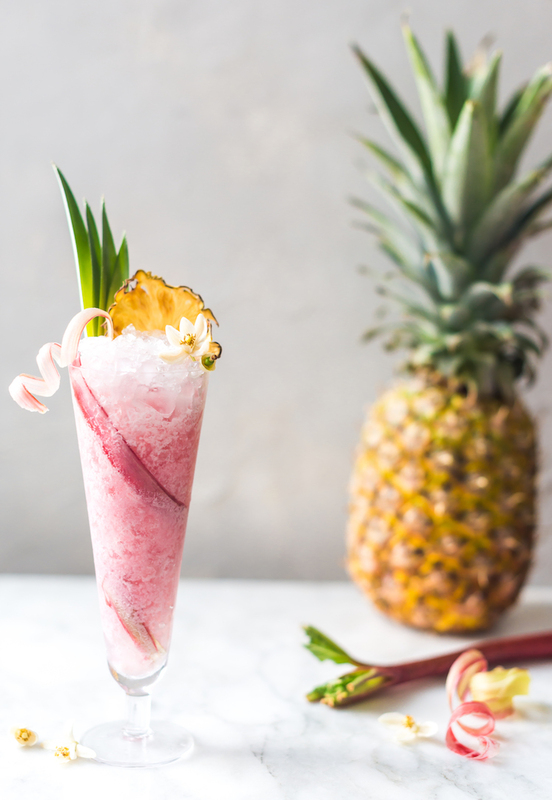 Pineapple has such a delicious acidity with a balanced sugar content that I found to pair beautifully with rhubarb. 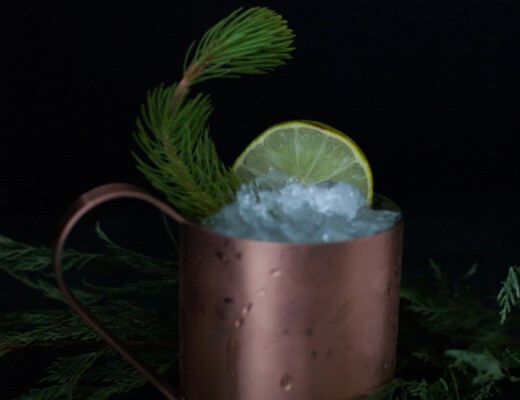 And thus the To Rue and Pine cocktail was born, ready to grace our mouths with it’s delicious, boozy nectar. Although the pink hue is alluring, rhubarb can be hard to work with. A vegetable, more accurately a petiole which connects the leaf to the stem much like celery, it needs to be cooked to tame it’s fibrous texture and sugar added to balance the bitterness. But the effort is worth is most certainly worth the reward. 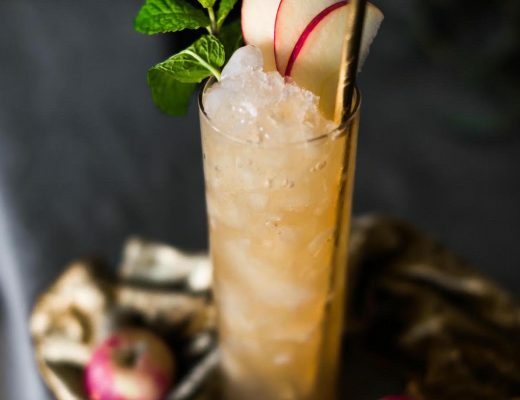 The sweet tart flavor of rhubarb is of course great for pies and desserts, but it is wonderful for cocktails as well. 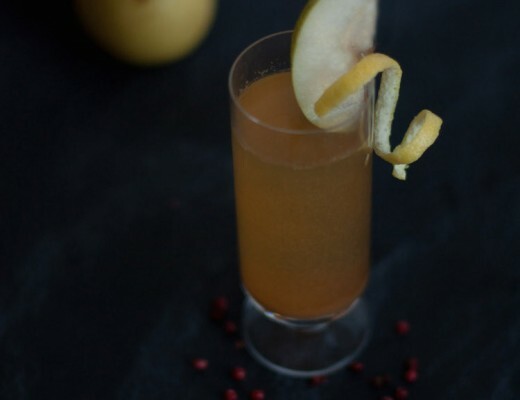 I made a syrup with the rhubarb to do just this and it makes it prime for mixing into cocktails. Along with the fresh pineapple juice, I added in coconut cream, Barbados rum, lime, and a easy hand of Sfumato Amaro to pair with the rhubarb syrup to make the tiki-esque tipple. The addition of Sfumato Amaro was for two reasons. I wanted to lean into the bitter notes of the rhubarb and really draw them out throughout each sip and Sfumato (more about it here) is also a rhubarb root based Amaro that works perfectly here alongside the rhubarb syrup. 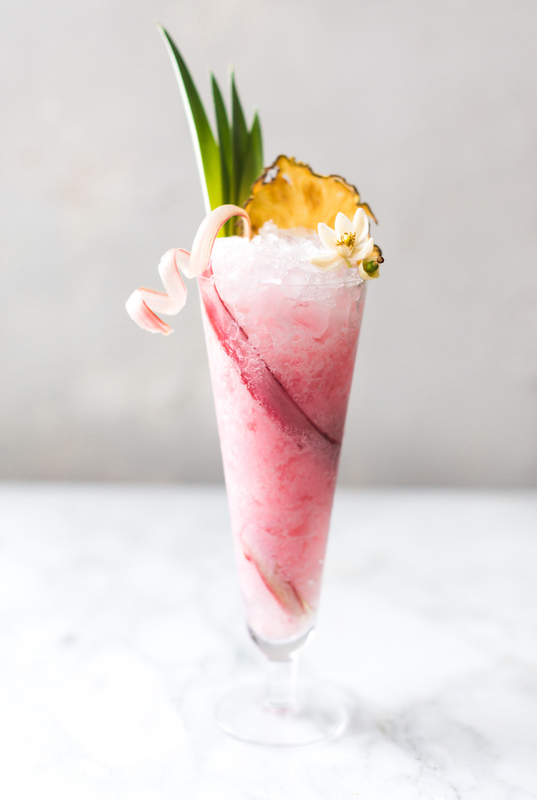 The To Rue and Pine rhubarb tiki cocktail will having you coming back for another sip and another until you’ll just have to make another round because you drink the whole thing in 5 seconds. Opps! Make the rhubarb syrup. Juice fresh pineapple and lime. Peel two ribbons of rhubarb with a vegetable peeler. Spiral one of the ribbons up the side of the glass and add crushed ice. Add the first 6 ingredients into a shaker with ice. Shake and strain into the glass. 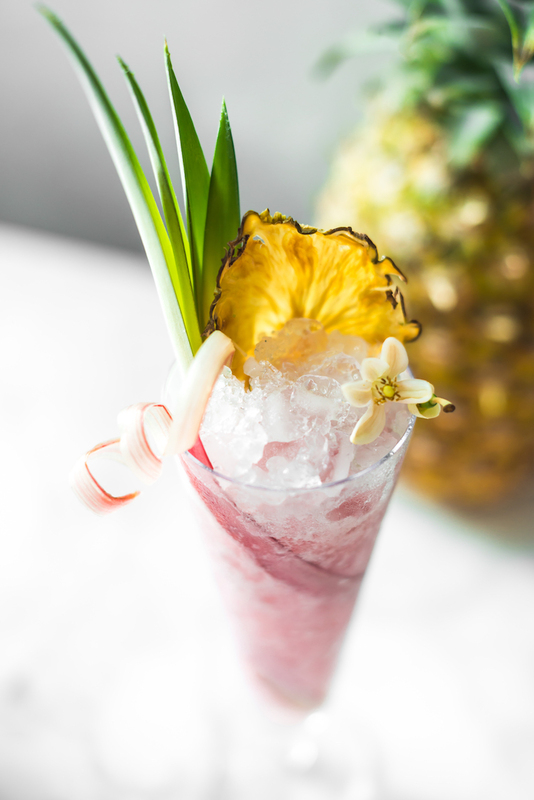 Garnish with pineapple leaves, pineapple flower chip, edible flower, and rhubarb ribbon.